This article is a sneak peek at our Digital Literacy course, which you can access in full with any Shmoop subscription. Shmoop has sifted through all of our thoughts on Google searching (and boy do we have a lot), and we've come up with the following four Biggest Deal Tips for searching effectively. We have some major Google fu, so you have reason to trust us. Be more specific. General terms and phrases can leave you with millions of junky results. It sounds obvious (and um, it kind of is), but if you're looking for Shmoop's analysis of The Great Gatsby, your best bet is to type in shmoop the great gatsby. If you just go with the book title, who knows what hacks you'll get talking about the book. Use quotations marks for exact phrases. Know exactly the phrase you're looking for? Put it in quotation marks if you don't want the words in your search considered separately. That way you just get stuff about Power Rangers and not stuff about power and rangers. Though that sounds cool, too. Use the minus sign (-) to exclude unwanted guests. Want to learn about the Ice Age but keep getting movie results? Try ice age -film as your search. Search only within a specific domain. Looking just for .edu or .gov sites? Just tell Google. If you type site:.edu before your search terms, Google will hear you loud and clear and only give you .edu results. If you want to get even more specific and only search on one site—say, Shmoop—just let 'em know by typing site:shmoop.com before your search. It's magic. Or…an algorithm? But why trust us when you can hear it from the horse's mouth? Head on over to this article, "How to Search on Google: 31 Google Advanced Search Tips," and spend a few minutes poking around to get the skinny on how to best use their search engine. Oh, and just because we're responsible adults (mostly), we should probably link you to this video on Safe Search. Because after all, in case we haven't said it enough, the Internet is a weird place. 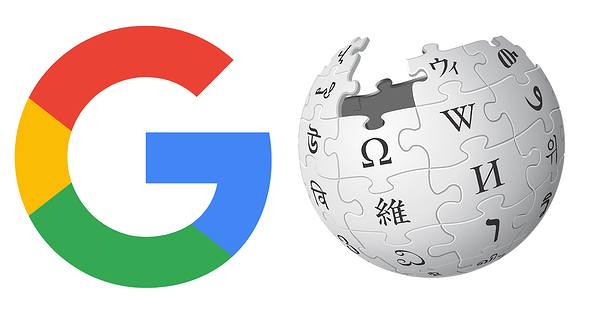 Wikipedia may be helpful if you look at the sources referenced in the articles you find relevant. You might be able to find publications that could be more credible sources for you. Prefer learning videos? Watch free videos specific to this article.